The Heat is the next generation four strand technology from Classic® Rope. Made from a blend of custom fibers and intricate twists, The Heat has set a new standard in rope feel and performance. 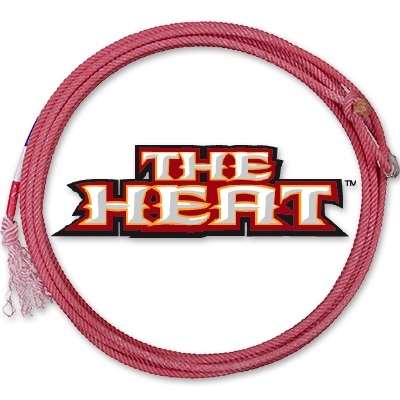 Designed for today’s aggressive roping styles, The Heat provides a loop that is packed with body. Even in forced situations, the tip remains ahead of the swing for a more controlled and confident delivery. Lightweight and built for performance, The Heat is built to take punishment. Run after run, it maintains its original, snappy feel.